Itttt's baccckk! You last saw this dress here, when I mentioned how often I would be wearing it for summer, and sure enough I have been. This time I tried toughening it up with the vest, booties and major arm swag, and I really love this vibe. I have been wanting ankle booties for quite some time now and finally took the plunge (not to mention I already ordered a second pair)! I love how they instantly add that cool and laid back vibe to a more feminine dress! Follow me on Twitter, Facebook, & Pinterest! You are just too darn sweet Carlina! I have very fond memories of this dress and you- Twiinnsiiiess day!! 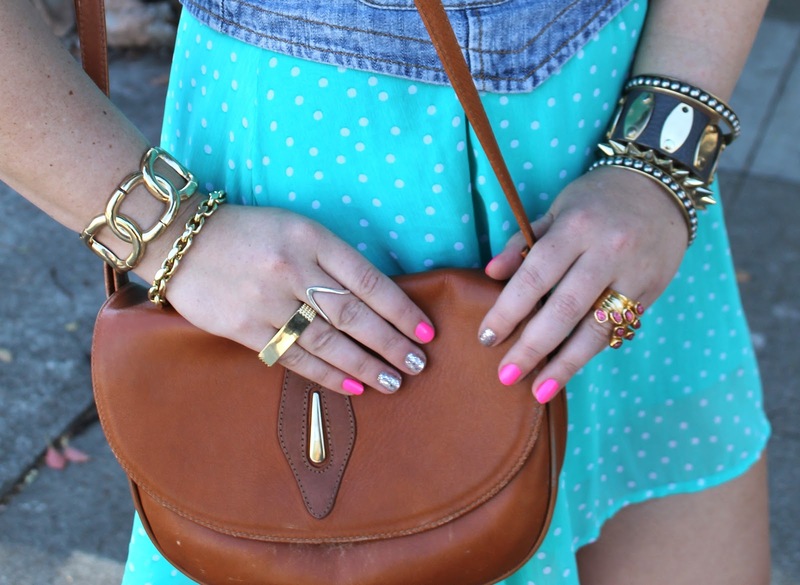 cute, love it paired with the ankle boots! Thanks Amy! I definitely have a new found obsession with ankle boots! I love how you paired your dress with your vest and these (oh so amazing) booties! Plus, the color is beautiful! Yes, Amanda, you look incredible. You know how much I adore ankle boots! They have a very special place in my heart. Hope you are having a fun weekend!